Il Giardino degli Aromi was set up because of the will of re-appropriation of a disused park from a group of women passionate in plantation. They wanted to experiment the benefits that people could get from being in touch with nature and at the same time to explore the huge world of aromatic and medical plants. They started with the creation of “Mandala delle erbe aromatiche”, a flavours’ garden full of different species of medical herbs. They made an attempt of hippotherapy for disadvantage people but the most successful project of Il Giardino degli Aromi is clearly the common vegetable garden “Libero Orto”. It counts several private parcels and some common parcels for participatory collective activities. 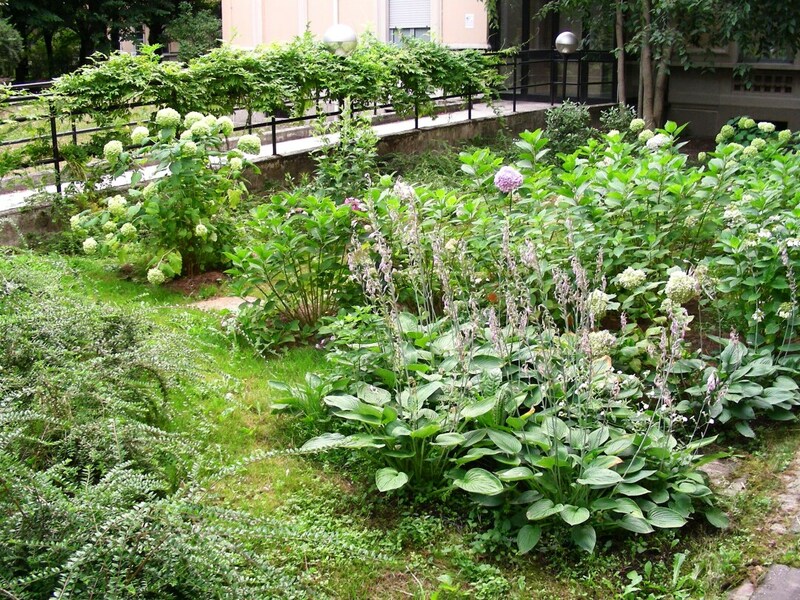 The association wants to transmit through the garden some fundamental of common natural spaces, such as the beauty of sharing activities and spaces, the attention for the richness that surrounds us and the experimentation of new way of living. In 2011 Il Giardino degli Aromi run also a new garden, “Giardino Terapeutico dell’Hospice”, building a path through several different flowers for the guests of the Hospice Tulipano. Simultaneously the association organize various activities as workshops to spread the knowledge about medical herbs, courses for educating children to respect nature and flea markets. Il Giardino degli Aromi Onlus was founded in 2003 starting from an initiative of a group of women able in the plantation of aromatic and medical plants. It grew up fast and in 2015, after twelve years from the beginning, the association count more than 200 members. It seems that everyone has the same roles and importance in the initiative, but of course the elder partners could be considered as a sort of guide for the beginners. Apart the seasonings’ garden, the park hold also a lot of vegetable gardens which belong to private citizens. The association really believes in the therapeutic power of plantation so a large percentage of citizens that participate to the cultivations involves people with mental and physical disadvantages (the garden is placed in a park that was part of the old psychiatric hospital Paolo Pini). The potential beneficiary of the project could be seen in anyone that has a strong motivation, not just disadvantaged people but also someone who really wants to escape from the chaotic city life. Design is not one of the peculiar features of Il Giardino degli Aromi. Members are people who work in different fields rarely related with design. From an aesthetical point of view, the area of the Mandala in well designed, with medical plants following geometrical shapes probably based on emotional pats coming from foreign cultures. The other parcels of the community gardens are auto-constructed by the single gardeners so each one is different. Probably the –unconscious- use of design is implicit in the organization of the garden itself. Everyone is involved in the initiative in a clear way; everyone actively participate in every kind of decision-making. Maybe they are not able to see it but Il Giardino degli Aromi is regulated by a strong co-design principle, even if there are no researcher or professionals that guide these participatory practices.